Hi Yall! can help you design thoughtful party gifts. Perfect for moms-to-be or future brides! Thank each shower host with with a handprinted flour sack kitchen towel. 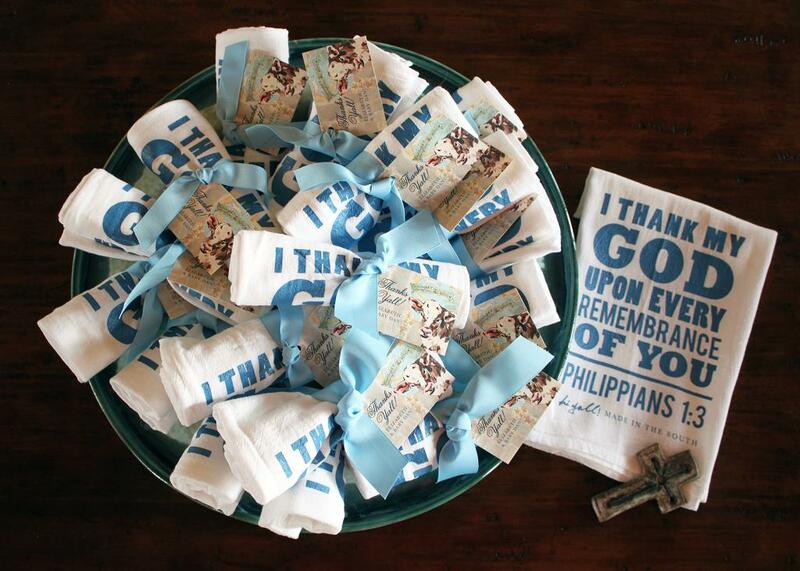 We can design the towel around your favorite Bible verse, hymn or party theme. Also includes personalized tags and ribbon. Allow 2 weeks print time.